A Viking sword from the 9th or 10th century was discovered in pagan boat grave at Dysnes in Eyjafjörður, North Iceland. It had metal hilts and some organic material such as leather, which has broken down. Boat grave is a burial in which a boat is used either as a container for the dead and the grave goods, or as a part of the grave goods itself. This was common among Vikings but didn’t seem to catch on in Iceland, only around 10 graves of this kind have been found here. “It’s very fortunate we are able to save this,” says Rúnar Leifsson, North Iceland Antiquarian. He believes it’s most likely the grave belonged to some dignitary. Few were rich enough to have a sword and a boat buried with them in the Viking age. Another boat grave was found by this one, in better state as it’s located further from the sea. It was only discovered yesterday so it's not yet clear what might be in it. The lack of these graves in Iceland makes this find remarkable. 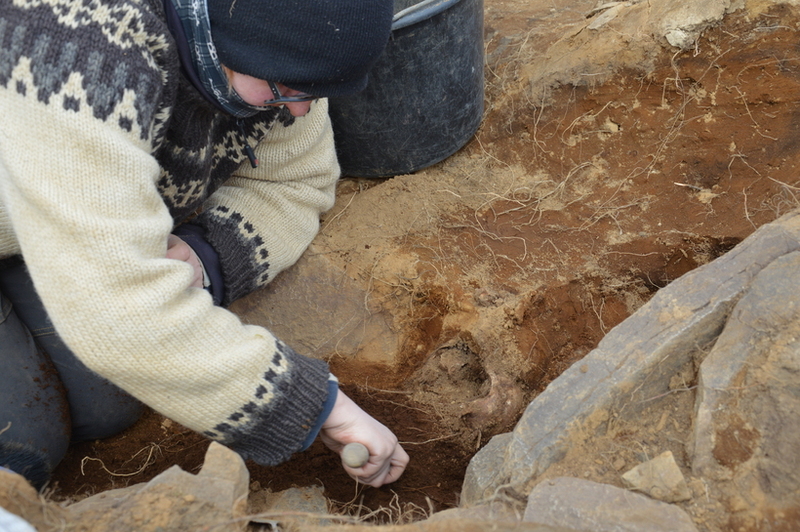 Kristján Þór Júlíusson, Minister of Culture and Education will visit the excavation area tomorrow. The archaeologists are competing with Mother Nature in the excavation. The area where they were found is by the sea, which is steadily breaking up the land and has already taken half of the ship where the sword was found. The sword wasn’t in a good state either, and was in pieces at the bottom of the boat. There might be more graves and other remains in the area. Leifsson says the main challenge is to work against the sea. This isn’t a new problem in Iceland where the shoreline has changed much since the land was settled. 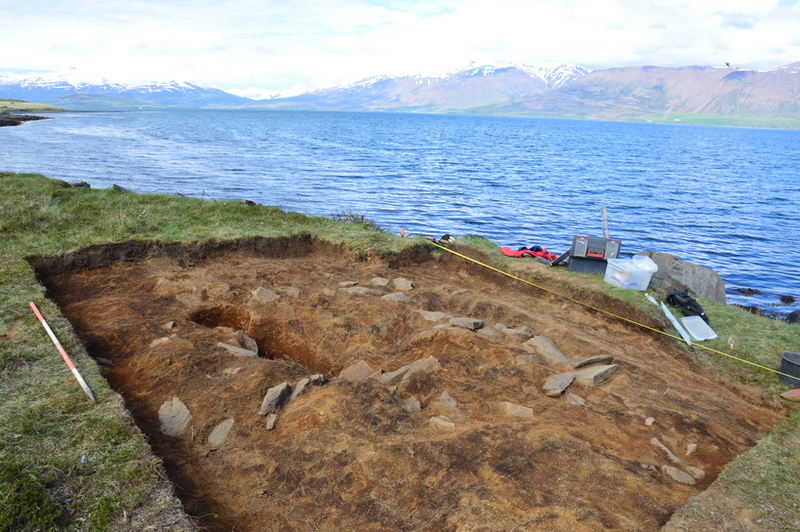 The Cultural Heritage Agency of Iceland wants to document all of Iceland’s coastline with regard to archaeologic remains, to evaluate what to save and what not to. “As it is, we’re losing remains to the sea,” says Leifsson.